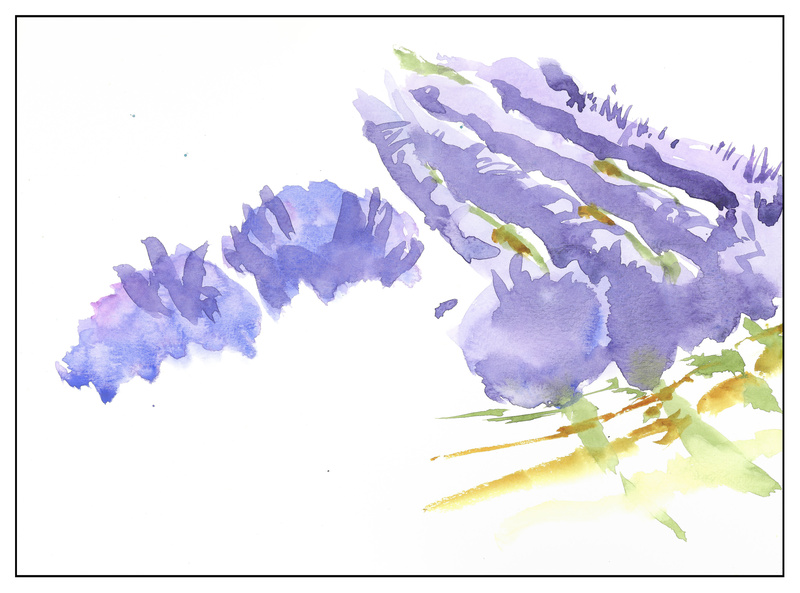 I have been looking for a lavender watercolor . . . and liked the color of Daniel Smith’s Wisteria. So I bought it. Lately, too, I’ve been reading a lot about Venetian Red. I bought it, too. Here are some sketches using the new colors. The Wisteria works out quite nicely – it’s a good lavender overall. It plays well with blues and other colors – but I’ll need to putz with it a bit more. So far, so good. Venetian Red is an interesting color. It granulates, it ranges in value, and varies, it seems in transparency and opacity. 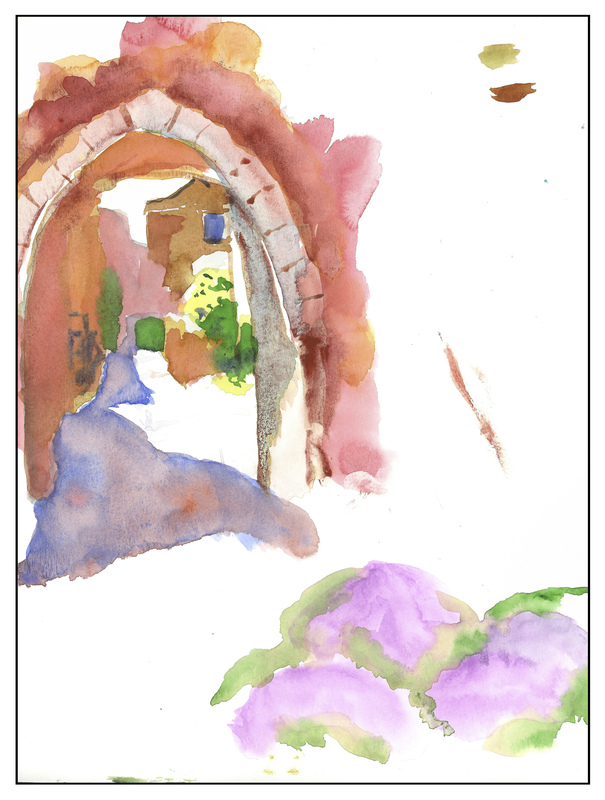 I threw a lot of colors into the stones and the buildings, all sorts of things. Another new color to play with. I spent a week up in Reno and came back with a stomach bug, so another week out of commission. Not fun at all! But painting is again on the horizon, and that is definitely good news.